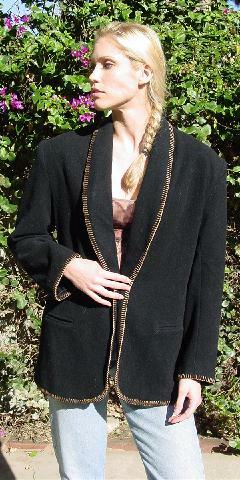 This vintage black Randolph Duke jacket is 100% wool and has honey caramel stitching along its edges. 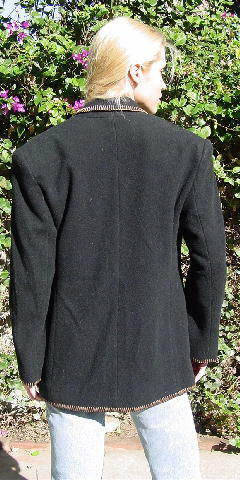 It has long lapels, 2 faux slash pockets, and shoulder pads. It has a nice black lining and was made in the USA. 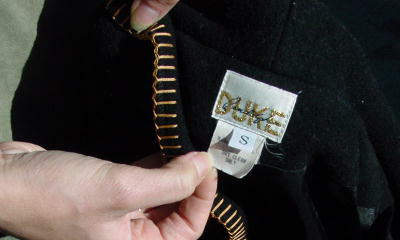 It was used in a photo shoot over a Richard Tyler suit and stilettos.